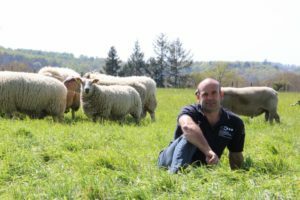 For the first time in its 40 year history, the World Sheep Shearing Championship is coming to France in 2019, to Le Dorat in the Haute-Vienne during the first week of July. 2016 was an intense year because we needed to prepare a solid bid to host the championship, requiring us to make ourselves known and find public and private sponsors. The objective was to present our application last year in New Zealand during the 2017 World Championships. In 2019, the World Championship will bring together 35 nations, 300 international shearers, 5000 animals and more than 30 000 visitors, in this small town of 1900 inhabitants in the north of the Haute-Vienne. This event represents an opportunity for people to discover sheep shearing both as a profession and as an exciting sport, and for our international guests to enjoy our dynamic agriculture, our gastronomy and our warm French hospitality. So don’t forget to reserve the week of the 1st to the 7th of July 2019 and come and experience this unique event for yourself. It is with your support, no matter what kind, that this event will be a success. It was in 2013 that everything started for the town of Le Dorat, Christophe Riffaud and his acolytes. These professional sheep shearers, sheep breeders, or just sheep shearing competition addicts, wished at the time to organise the French Shears and the 6 Nations event in their town. The area is renowned for sheep rearing in the Limousin region. In July 2013, this incredible event spread over two days brought together 150 sheep shearers, 60 partner organisations, 1800 ewes, and created a « wool village »… This small town of under 2000 inhabitants lived to the sound of shearing machines, the cheers of the supporters, bouncing music, but also the sparkling beer bubbles in the glasses of 10 000 spectators! Following the success of the 2013 event and after two years of reflexion, Christophe Riffaud together with volunteers motivated by 2013, but also new people seduced by the challenge, decided to take on a crazy bet. They wanted to organise the 2019 World Sheep Shearing Championships, in France, and more specifically in Le Dorat. The “Association pour le Mondial de Tonte de Moutons” (AMTM) was thus created in December 2015. Soon, the Board of Directors was formed, and the Executive voted. 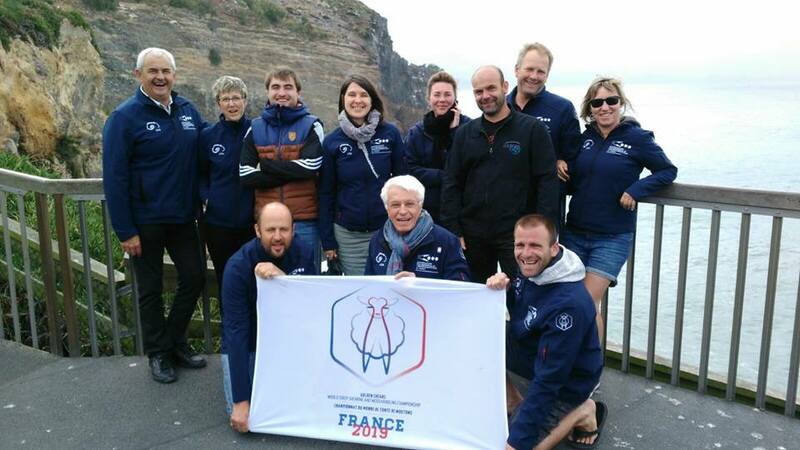 The association consisted of members from all professional horizons and all the regions of France, but what united them all was the motivation to get the green light from the World Council to organise the 2019 Championships. From that point on time was short. Only one year to prepare a strong bid, including all the technical, financial, and logistical elements.These Championships mean 5000 sheep to locate, 300 sheep shearers and companions to accommodate, 30 000 guests to welcome and feed. In a country where sheep shearing is not well known, and even less as a sport, the team had an enormous task ahead. During this time every opportunity to communicate about sheep shearing and the project was seized. The International Paris Agricultural Show in February 2016 was the starting point, followed by all the major national agricultural events, but also more local events, whether they were on a regional, district or village scale. The whole public needed to be informed, both to understand what sheep shearing is but also what the aims were. This allowed us to present our project, and also to spread the message further. Because this was the strategy: use word-of-mouth to pass on the information, get people talking about us via all possible channels and networks. This is how the project would be able to expand and how we would attract financial partners. And there was our volunteer team’s second biggest challenge 2016: find sponsors. The team never stopped and had one appointment after the other, both with private and public partners. And due to this strategic and hard work, the association ended that year with a positive balance and won the bid to host the 2019 World Sheep Shearing Championship!